4k00:32Spectacular drone footage over a High Alpine lake, Dam and waterfalls in the region of verbier in Switzerland. hd00:20Picturesque river in the mountains. 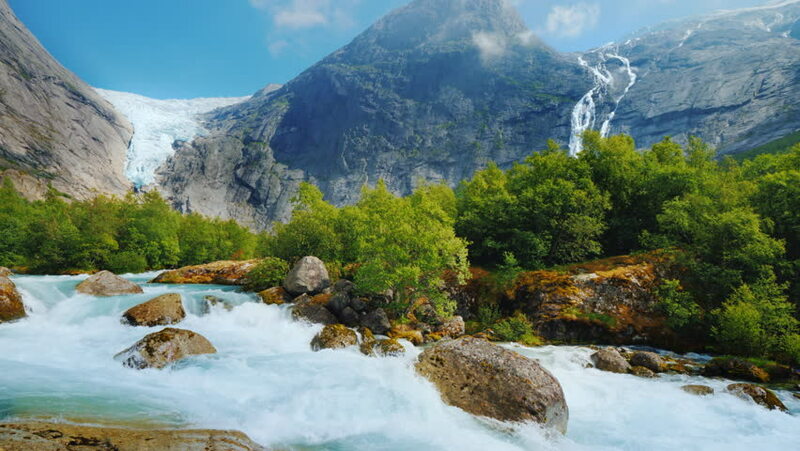 4k00:11Beautiful Nature Norway natural landscape. lovatnet lake.